Bulldog Movers offers relocation assistance from professional movers and packers, so we can assist you throughout your entire moving process. 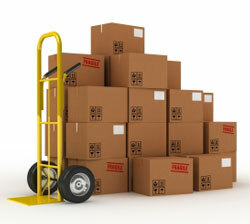 We’ve been helping with residential and commercial relocations throughout the Atlanta area for more than 25 years. Whether you’re relocating to another Atlanta community, across the country, or even overseas, you can depend on our experienced packers and movers to get all your belongings to your new location quickly and safely. You’ll also save money with Bulldog, because we offer one affordable price that includes truck rental, shrink wrap, blankets, local moving taxes and tolls, and labor. In addition, we also provide special moving services for antiques and pianos, so you can depend on us for all your moving needs. Our unsurpassed service as movers and packers and dedication to customer service has even earned us the Consumer’s Choice Award for nine years in a row. Call or email us today to learn more about how our professional movers and packers can help make your move to or from Smyrna, Roswell, McDonough, Sandy Springs, Decatur, or any Atlanta area communityas easy and carefree as possible.